Quba Solutions is a contract finance product that provides both the finance and back office capability in a convenient online platform allowing you to run and grow a successful recruitment business. This product allows you to spend more time on business development and subsequent fee generating activities rather than back office administration. Using the online dashboard to agree credit limits for your clients gives you the ability to place temporary operatives. With paper or e-timesheet capability we get your workers paid, invoice your clients and pay you your profit weekly. Our 100% profit finance scheme enables you to trade without the usual cash-flow constraints of traditional finance. The dashboard allows you to track our credit control process, allowing you visibility on all outstanding invoices, safe in the knowledge our debt insurance is in place should the worst happen to your client. The spine of our business has experience in both the recruitment and payroll sectors, making us the experts in payroll management. We’ll also provide details on other aspects you should consider whilst setting up your new business such as our Existing Agency or Payroll & Billing Management products. 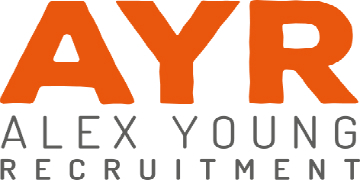 If you'd like to find out more about how we can help your recruitment agency, please complete this form, or alternatively call us direct on 01305 233178.